MTSU Poll: Trend shows support.. Warm up your Valentine’s Day w..
A potential game-changing switch in the sequence that the sciences are taught in at least 20 Tennessee K-12 school districts will be at the forefront of this week’s seventh annual STEM Education Research Conference in Murfreesboro. More than 100 science, technology, engineering and mathematics educators from across Tennessee participated in the two-day conference, which was held Feb. 7-8, at the DoubleTree Hotel in Murfreesboro. The sequence change is called the Physics First Approach, with conceptual physics being taught first in the ninth grade and followed in subsequent years by chemistry and molecular biology. It’s a concept educators are strongly considering for the future, said Dr. Tom Cheatham, first-year director of the Tennessee STEM Education Center at MTSU. STEM is an acronym for science, technology, engineering and mathematics. Physics First would alter the current sequence of teaching biology first, chemistry and then physics. Cheatham said the modeling teaching strategy developed first for physics at Arizona State University makes a powerful change in how we teach science in high school. Cheatham said he is awaiting word on an $8 million National Science Foundation grant, which is under review, before the Physics First Approach with modeling instruction can be implemented broadly across Tennessee. The National Science Foundation Math/Sciences Partnership grant proposal, titled Collaborative Redesign of Science in Tennessee, involves MTSU in the lead role, the University of Memphis, Austin Peay State University, the University of Tennessee at Chattanooga, East Tennessee State University, Oak Ridge Associated Universities and 20 K-12 districts across Tennessee, Cheatham said. 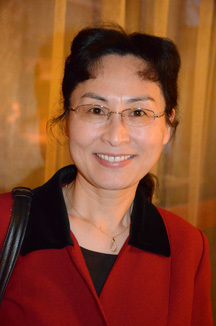 During the conference on Thursday, keynote presenters Dr. Ling Liang of La Salle University in Philadelphia, Pa., shared her role in the Physics First Approach and Dr. David Hestenes, the inventor of the teaching strategy for high school physics, described modeling and other national STEM initiatives. Hestenes is director of the Science Modeling Institute Academy of Science and Arts and emeritus professor of physics at Arizona State. Cheatham said Dr. Angela Barlow, director of the MTSU Ph.D. program in mathematics and science education, will describe work to improve teaching and learning of math in the elementary grades. Jamie Woodson, president and CEO of Tennessee SCORE (State Collaborative on Reforming Education), will provide an update on pre-K-12 educational progress in Tennessee. Tennessee Score is a program started by Dr. Bill Frist of Nashville, the former U.S. Senate Republican majority leader. Cheatham said continuing support for the conference comes from the Tennessee Space Grant Consortium, which has a match from the MTSU Office of Research. MTSU faculty member Dr. Mark Abolins is the principle investigator for the space grant. The Tennessee STEM Education Center formerly was called the Tennessee Math, Science, Technology and Engineering Center at MTSU. For more information, visit http://capone.mtsu.edu/tsec/2013stem/ or call 615-904-8573.